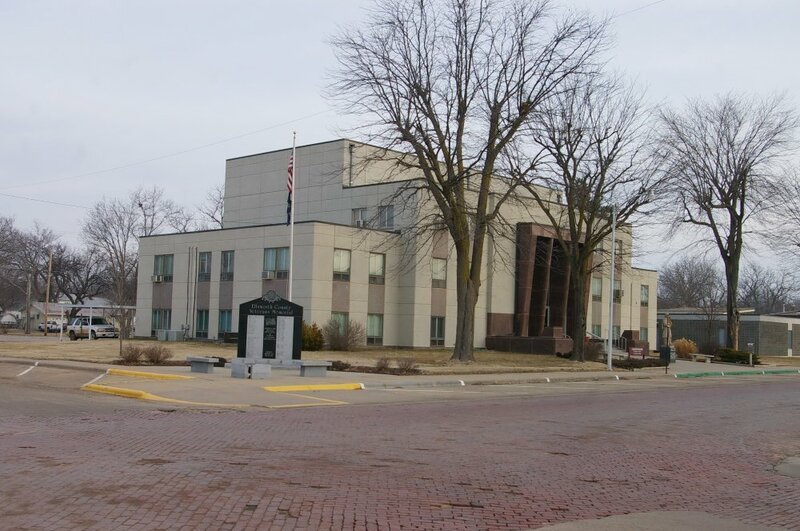 Ellsworth County is named for Fort Ellsworth, which was named for Allen Ellsworth who was a 2nd Lieutenant of the 7th Iowa Cavalry and who supervised the construction of the fort. Contractor: Walter Armngost Construction Company of Wichita. 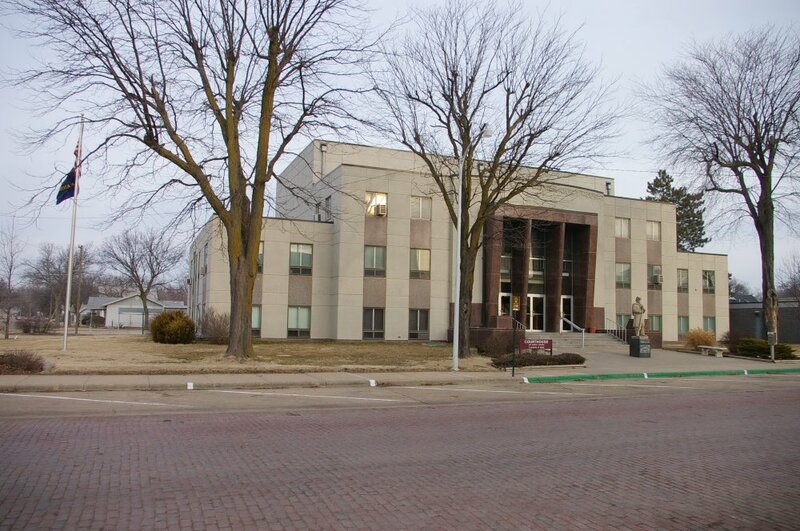 Description: The building faces southeast and is a two story buff colored brick and concrete structure. The central part of the southeast front projects from the main building and has dark red stone trim around the entrance and second story windows. The east and west wings are lower. 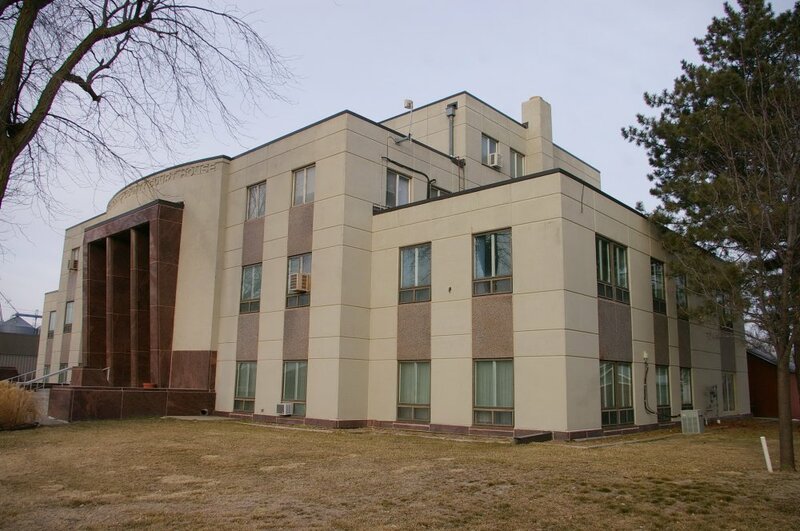 There are brown panels between the first and second story windows. The roof line is flat. 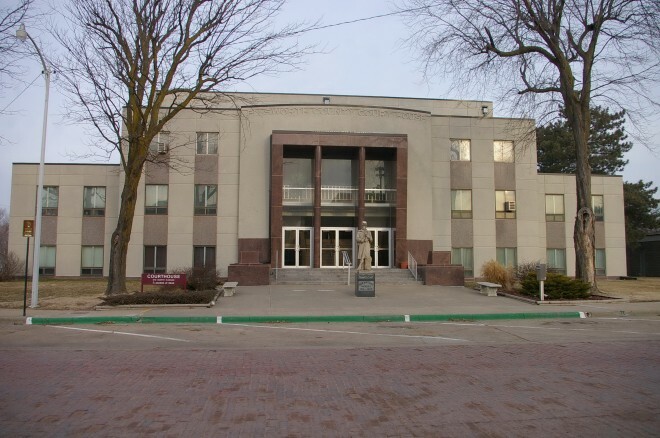 Note: The associate architect was John G Seitz and the electrical contractor was Paul Merrill Construction Company of Salina. 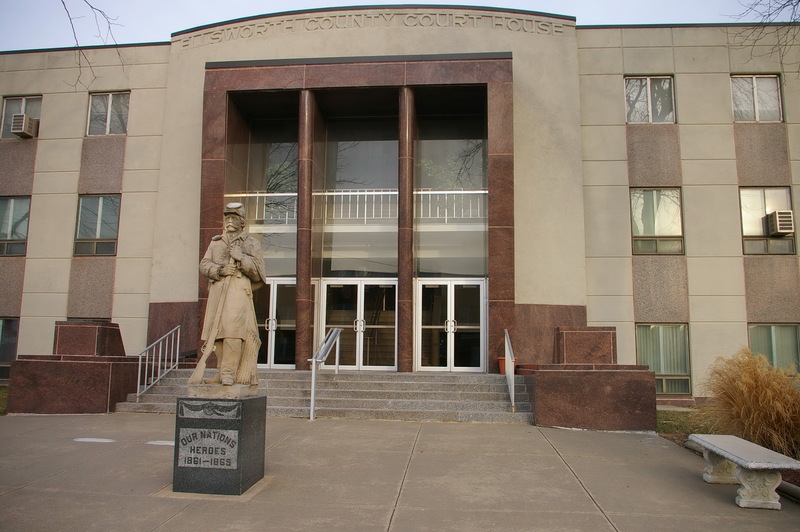 The previous courthouse was constructed in 1889 and was demolished when the present courthouse was constructed. See: The architect, Mann & Company of Hutchinson, designed courthouses in Ellis County, Graham County, Lane County, Pratt County, Republic County, Scott County, Stafford County and Stevens County.